Call them computer viruses, malware, or whatever term you want to use, there is no shortage of malicious code in the world, and no lack of people trying to forcibly load or trick you into loading it onto your computer. The question many people ask: Why? Why in the world do Internet “bad guys” go to such lengths to create malware? What’s the point of it? Do they get their kicks from infecting computers or is there another reason? There is a shadowy underground economy where bad guys pay other bad guys money for infecting computers with malware. Once your computer is infected with certain types of malware, it can be sold into virtual slavery as part of a botnet. These “zombie” or “slave” computers are controlled by a “master” command and control user. Money is made by both infecting computers and then selling control of the zombies to other bad guys. Once Internet criminals have adequate computing resources, they need the other half of the equation which is bandwidth, so that they can carry out successful distributed denial of service attacks. The people trying to fight back against these types of attacks have trouble because they are being attacked from so many different locations, making blocking difficult. The faster your Internet connection, the more valuable your computer is to the owner of the botnet that wants to, or has already, infected it. Your social security number and other personal data is extremely valuable to identity theft rings and others looking to capitalize on it. Malware may harvest this information directly from your hard drive, or the thieves may install keystroke logging software that shows them everything you type. In addition to using your personal information for identity theft, some malware makers may use what is known as Ransomware to hold your data hostage via encryption, so that they can extort money from you in order for you to get access to your data. Never pay the money because there is no guarantee that they will make good on the promise to unlock your data. Paying the money only encourages them to try the scam on more people. 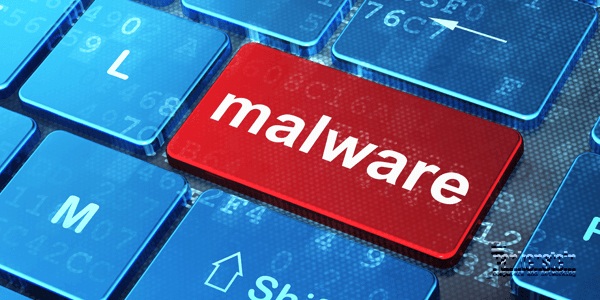 Other malware, such as Scareware, may trick you into installing a program or purchasing software that you don’t need by threatening you by saying you’ve committed a crime and need to pay a fine, or that there is something bad on your computer and only their tool can fix the problem. Beware of fake antivirus programs, they are out there. While money is the predominant motivator for malware creation, there are some other reasons why malware creators do what they do. Some malware is built for political reasons; other malware is built just as a joke. Some creators just want to cause panic and chaos. What to do about all this malware? You should definitely have up to date antimalware on your computer and consider adding a second opinion malware scanner to your security arsenal as well. Additionally, consider pointing your internet router and/or computers to an open DNS resolver that filters out malware laden websites.